A group of AN deputies gathered outside the Palace of Justice in Caracas, awaiting the audience of Roberto Marrero, head of the office of the president of the National Assembly, Juan Guaidó. Next to them are Marrero’s lawyers and family members. Marrero was arrested in the early hours of Thursday, during a raid on his home. Then he was accused by the National Government of being “the organizer” of a “terrorist” plan against Nicolás Maduro. On Monday, Marrero’s lawyer, Joel Garcia, assured that Marrero’s transfer has not yet taken place, “After the imputation of three crimes they now speak of other crimes,” he said. García also warned that the accusations made by Jorge Rodriguez on Saturday against Marrero and the captures of WhatsApp conversations shown do not appear in the files to which they had access. “I want to warn about Jorge Rodriguez’s words, about some captures, that there is nothing on the minutes of the files we had on Friday. Reinaldo Marrero, Roberto Marrero’s brother, made an appeal from the place to the International Community to ask them to eliminate the charges that have been announced against them by members of the national government. “We are firm in our demand to release Roberto, who has nothing to do with the charges against him,” he said. The political crisis escalated significantly on Thursday when the chief of staff, Roberto Marrero, a lawyer and confidant of Mr. Guaidó, was taken from his apartment in southern Caracas around dawn to an unknown destination by armed intelligence officers, said Sergio Vergara, an opposition lawmaker who is a friend and neighbor of Mr. Marrero’s. Geraldine started her peaceful campaigning when she was just 14 as a youth leader in Caracas. Since then her activism has only grown – she started an Amnesty youth network and supported individuals who were at risk of imprisonment and persecution, and later joined the NGO Community Ambassadors Foundation running outreach programs with impoverished young people in Venezuela. Now, Geraldine finds herself in need of the same help she has given many others. This year the Venezuelan authorities arrested her, and she spent four months in prison with limited access to sunlight, food and water. Geraldine was released conditionally which means she cannot leave the country, and she risks being sent back to prison at any moment. Sign this petition and demand the Venezuelan authorities drop the case against Geraldine. With enough global pressure, we could get the Venezuelan authorities to drop the charges – add your voice now. The disputed jailhouse death of an opposition councilman arrested on allegations of plotting to kill President Nicolas Maduro has triggered alarm among many Venezuelans and swift condemnation from several foreign dignitaries. Venezuela’s government said on Monday that Fernando Alban took his own life by leaping from the 10th floor of the state intelligence agency’s headquarters. But opposition leaders denied the official version and a few dozen of Alban’s supporters gathered outside the building yelling “Maduro killer!” contending that he had been murdered. “There’s no doubt this was an assassination,” opposition leader Julio Borges said in a video from exile in neighboring Colombia, without providing evidence of his claim. Alban, 56, was taken into custody Friday at Caracas’ international airport upon arriving from New York, according to his lawyer. 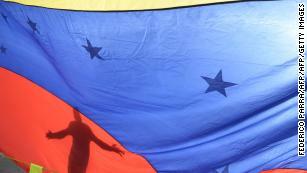 The world, of course, already knows, as do the Venezuelan people, that the country long ago ceased to be a democracy. Maduro, no matter what he claims happened in Sunday’s election, is a dictator. At a time when a global wave of authoritarianism is rising, a closer look at the Venezuelan tragedy reveals what was at the center of the power-grab: the dismantlement of the rule of law. It was this crucial tactic that turned one of Latin America’s most enduring democracies into a basket case of social and economic collapse. Venezuela offers a case study in how by politicizing the law, the regime — incompetent in every other respect — managed to seize control of the country without the need to impose military rule. It is no surprise that the World Justice Project ranks Venezuela dead last in its global Rule of Law Index. Although the constitution guaranteed judicial independence, the Supreme Court, through its Judicial Commission, has the power to remove at will any of the “provisional” judges — more than half of the judges in Venezuela. According to the International Commission of Jurists, “the separation of powers is non-existent,” in Venezuela. The judiciary has become an instrument of the President and his party. 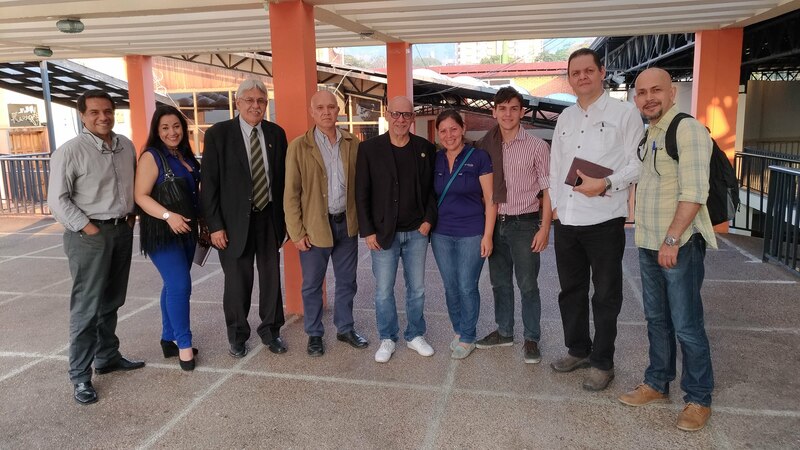 Civil Rights Defenders calls for the immediate release of Venezuelan human rights lawyers Orlando Gonzalez and Oscar Rios of Foro Penal, detained yesterday, 16 May. As reported by Rachel Sanchez, working as a coordinator at Foro Penal in Táchira state in western Venezuela, her two colleagues were detained at lunchtime by Fuerzas de Acciones Especiales, FAES, a special division of the Venezuelan National Police, supposedly responsible for combating organised crime. They have not been heard of since. The fact that several human rights organisations in Venezuela accuse FAES for hundreds of extrajudicial killings the last couple of years, increases Civil Right Defenders’ preoccupation with the security of Orlando Gonzalez and Oscar Rios. Gregory Hinds and Geraldine Chacón have been arbitrarily detained in custody of the Bolivarian National Intelligence Service (SEBIN) in Caracas, Venezuela, since 31 January and 1 February, respectively. Both were issued a release warrant on 2 April, but the SEBIN refuses to comply with the warrant. They are prisoners of conscience who must be released immediately and unconditionally. Venezuelan authorities brought Gregory Hinds, 32, to the Bolivarian National Intelligence Service (Servicio Bolivariano de Inteligencia Nacional, SEBIN) facilities for alleged interviews on 31 January. A few hours later, during the night of 1 February SEBIN officials picked up Geraldine Chacón, 24, at her home, and brought her to their facilities under the same argument. Despite there being no arrest warrants against them, both prisoners of conscience have been detained and held incommunicado ever since. Moreover, on 2 April, the competent court issued a release warrant on their names, but the SEBIN has not complied with it, and they both remain arbitrarily deprived of their liberty. Officers at SEBIN facilities, both at administrative headquarters and at the detention centre, have stated that they do not have orders to comply with Gregory Hinds and Geraldine Chacón’s release warrants. SEBIN officers told relatives and lawyers of both prisoners of conscience that they were unaware of the location of their release warrant, or that the system has been down since early April.